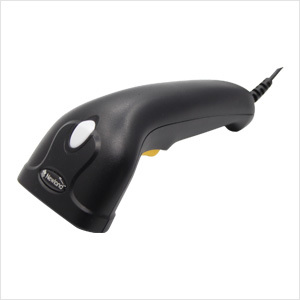 This ergonomic lightweight scanner fits comfortably in any user’s hands to reduce the fatigue of long-time operation, ideally suited for scan-intensive applications. The NLS-HR1250 delivers aggressive scanning capabilities and excellent user experiences at an attractive price. The NLS-HR1250 offers an impressive read rate of up to 300 scans per second, helping boost productivity and profitability. Retail chains, inventory counting, express delivery services, warehouse management, food traceability, healthcare, manufacturing, electricity meter reading. Matrix 2 of 5, GS1 Databar, Code 39, Code 11, MSI-Plessey, Plessey.